Online Voting 'Premature,' Warns Government Cybersecurity Expert : It's All Politics Warnings about the dangers of Internet voting have been growing as the 2012 election nears, and an especially noteworthy one came Thursday from a top cybersecurity official at the U.S. Department of Homeland Security, who said e-voting should not yet be used for "real elections." A government cybersecurity expert warns against new moves by state election officials to accept online overseas ballots, like those from deployed U.S. troops. Bruce McConnell told a group of election officials, academics and advocacy groups meeting in Santa Fe, N.M., that he believes "it's premature to deploy Internet voting in real elections at this time." McConnell said voting systems are vulnerable and, "when you connect them to the Internet, that vulnerability increases." He called security around Internet voting "immature and underresourced." McConnell's comments echo those of a number of computer scientists who say there's no way to protect votes cast over the Internet from outside manipulation. But right now a growing number of states are allowing overseas and military voters to return their marked ballots by digital fax or email, which experts say raises the same threat. It's part of a recent push to make voting easier for millions of Americans overseas, who often are prevented from voting because of slow ballot delivery and missed deadlines. The Federal Voting Assistance Program at the Pentagon and other groups have been working recently to make it easier for overseas Americans and those in the military to register to vote online and to download their ballots. The question is whether it's safe to return the voted ballot online. Some election officials say it's a trade-off between security and convenience. Bob Carey, director of FVAP, told a group of bloggers in October that there are risks to online voting, but also "inherent security risks with the current system," such as people not getting their ballots on time and losing the opportunity to vote. Carey added that "there's not going to be any electronic voting system that's ever going to be 100 percent secure, but also the current paper-based system is not 100 percent reliable either." 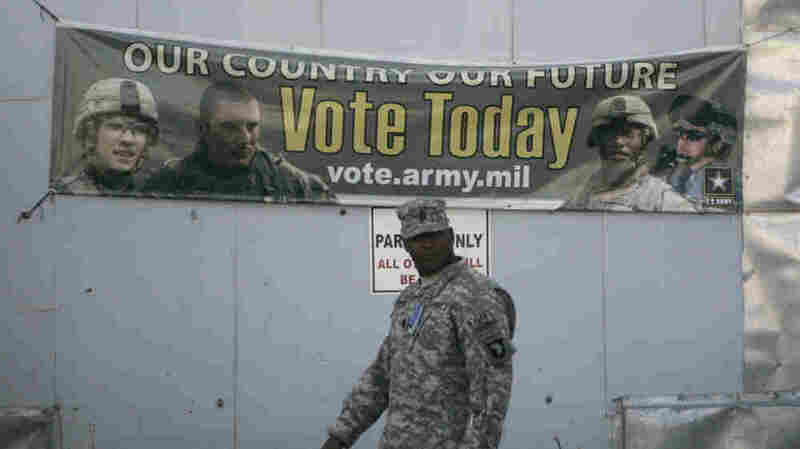 The Pentagon is exploring the possibility of expanding e-voting opportunities for the military and overseas Americans. A handful of states are also considering pilot programs that would allow voters to vote directly online, as West Virginia did in 2010. The District of Columbia had to cancel its online voting plans in 2010 after University of Michigan computer experts were able to infiltrate the system and remotely change votes. Some people think online voting is bound to happen, though, once the kinks are worked out. But as McConnell's comments show, those who worry a lot about cybersecurity believe that time is a long way away.